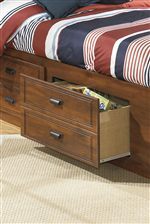 Keep organized with the deep drawers in a side rail of this bed. 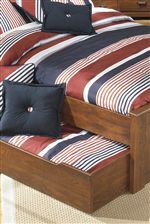 With its casual charm, this panel bed will look great any kid's bedroom. The arched headboard features two framed sections with a plank look. 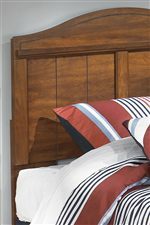 The low-footboard updates the style of the bed. 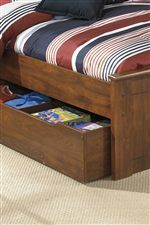 One side rail of the bed has two roomy drawers from anything from clothes to toys. The Barchan Full Panel Bed with Underbed Storage by Signature Design by Ashley at Furniture Superstore - NM in the Albuquerque, Los Ranchos De Albuquerque, Rio Rancho, Santa Fe, Corrales, NM area. Product availability may vary. Contact us for the most current availability on this product. 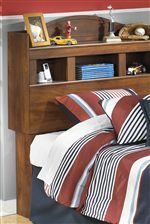 000000003159 Under Bed Storage w/Side Rail 1 77" 56" 18"
000000003168 Full Panel Headboard 1 56.97" 2.52" 47.87"
000000003166 Full Footboard 1 57.95" 2.2" 20.39"
The Barchan collection is a great option if you are looking for Casual furniture in the Albuquerque, Los Ranchos De Albuquerque, Rio Rancho, Santa Fe, Corrales, NM area. 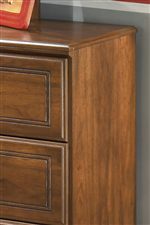 Browse other items in the Barchan collection from Furniture Superstore - NM in the Albuquerque, Los Ranchos De Albuquerque, Rio Rancho, Santa Fe, Corrales, NM area.